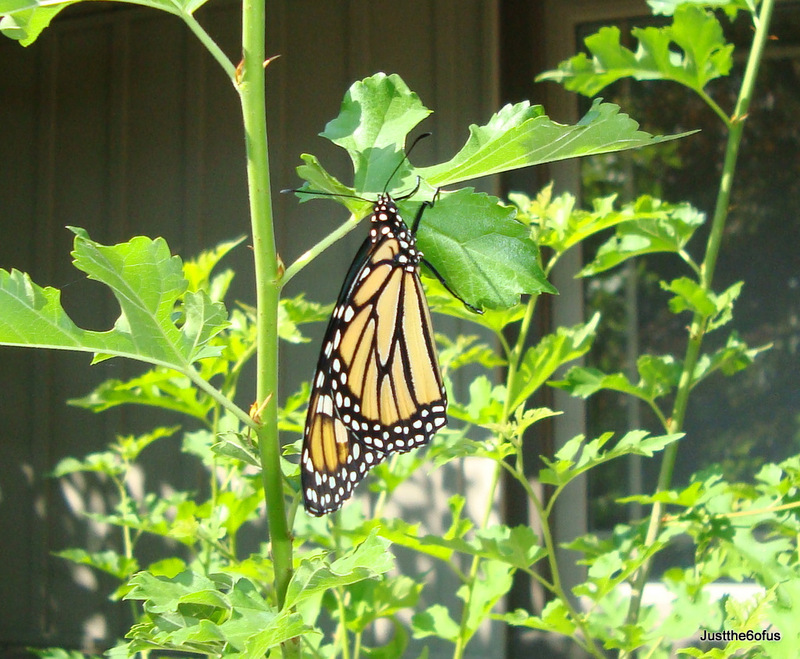 Our first butterfly emerged yesterday from its chrysalis. I noticed that the chrysalis was getting dark on Sunday, so Sunday night I moved it from the bug box to a piece of wood overtop of a plastic container so it would be easier to see. Monday morning I forgot to check it, but then when Erik went over around 10:00 am he noticed the butterfly had already come out! In a few hours she (I’m pretty sure it was a female) was flapping her wings and a pool of moisture started to collect underneath it as the wings were drying. Erik got a little concerned that it would take flight and be flying around our house, so we made a quick call to Mrs. McCaw, our butterfly advisor and she suggested moving it outside to finish drying. Plus, she pointed out that it was a perfect day for butterflies, sunny and warm. So I took it outside, it got a little agitated from the move, so as soon as it got out the front porch it made a quick flight to this bush, where it spent a few more hours drying off and then left. 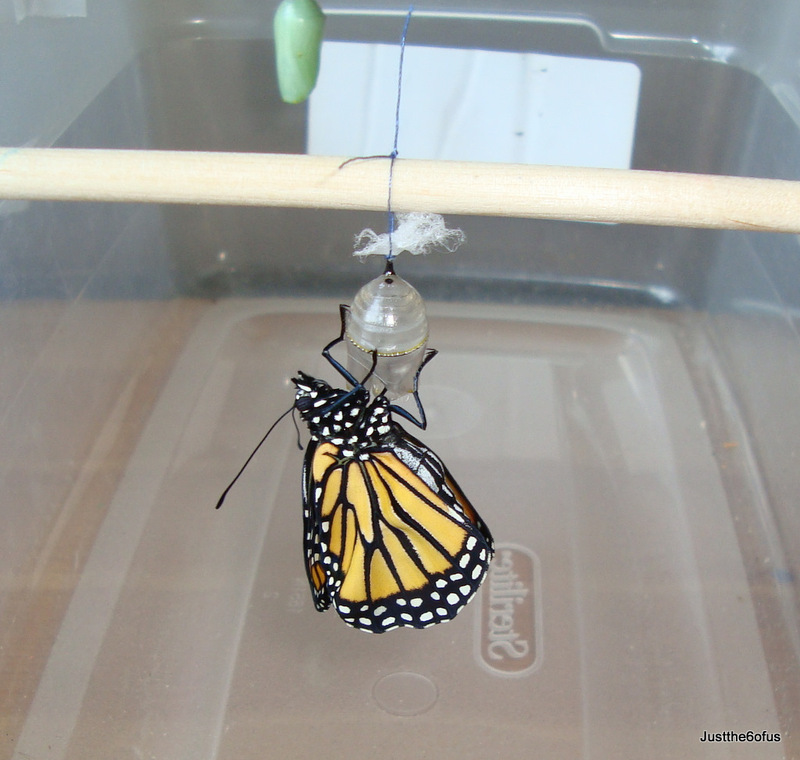 It really seems like a miracle, that this beautiful butterfly can come from such a tiny egg, fit into that tiny chrysalis and all within a month! God is amazing and his creativity just astounds me! Well, we have four more chrysalis’ and three more caterpillars, so there is more excitement to come! Yes, I’d say it was female! Very fun!